Math! It can strike fear within a person like nobody’s business, whether it be on the account of the parent or the student. Many people struggle or don’t feel as confident with teaching different levels of math so It’s nice to have a helping hand. You get just that with the Math-Whizz from Whizz Education. 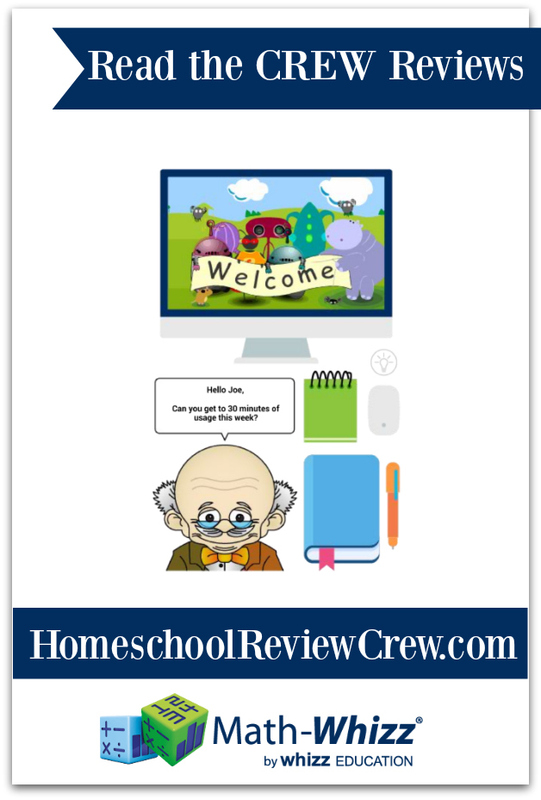 Using this online homeschool math program it is like having a private math tutor working with my daughters on their math skills. Getting started is quite simple. First, to ensure that your student is placed into the proper level, the program requires the student to take a placement test. The series of assessments will help target your child's math age. The assessment is long but it is thorough. Once you get through the assessment the child can get into their dashboard where they can decorate the room however they want. I love that is theme based and with holidays you get different things. For example, a pumpkin just showed up one day in October when the girls logged in. 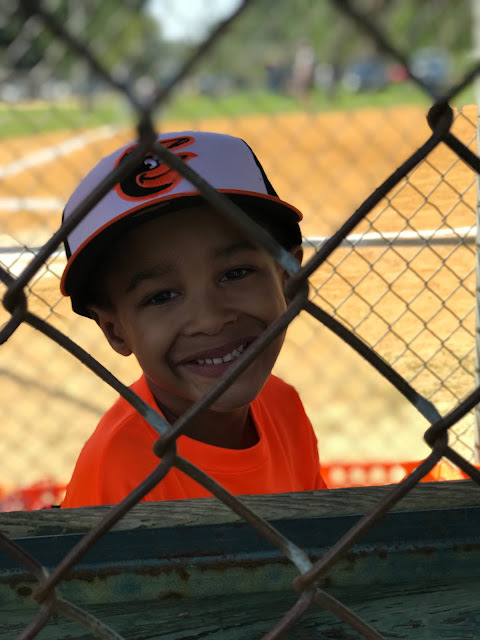 Ideally, to get the most from the program your child should be logging on and using the program at least 30 minutes a week. There is a tracking bar on the dashboard so that the child can see how much time they have spent weekly. We have been using Math-Whizz from Whizz Education to our supplement our regular math curriculum. With this I was able to identify and address the learning gaps in my 6th grader, Montana, and 3rd grader, McKenzie, math skills. I love that they were each given a math age so I can really see where they are. I will say I was initially disappointed with each girls “math age” because it was lower than what I expected. McKenzie, who is 9, has always excelled in math. Numbers and number sense comes easy for her. Montana, my 12 year-old, on the other hand does well at math but she has to work at it. However, I think it is right on target for Montana and maybe a little skewed for McKenzie. I kept my thoughts to myself and just pressed on with where they both were at. This program has brought out the competitiveness within my girls. One day they Were on the program unbeknownst to me for over an hour racing to get a snake. McKenzie ended up winning the snake first but let me tell you it was intense. Overall, I feel this is a complete and thorough math program that rivals other computer based programs. I am pleased with the instruction that both Montana and McKenzie have had access to as we fill in any learning gaps. I also love that this is a portable program. We start up traveling for gymnastics competitions and the girls will each be able to access the program on their iPads while we are away from home. Especially since my van has wifi capability, learning will definitely be on the go! Be sure to check out what my 29 other Crewmates thought of the Math-Whizz program by clicking the banner below. This should have been the completion of our 9th week of the 2018-2019 school year however, the children and I needed a break. More so me as I was burning the candle at both ends so to speak. So, last Friday I made the executive decision to take this week off and it has been just what I needed to regroup. Now, we did still attend co-op on Wednesday this week and Mikayla and Montana still are working on their History co-op assignments but we just did a little each day. McKenzie is also working on a new math program called Math Whizz. My expectation was that she would just work 15-20 minutes a day, but she has chosen to stay on it for 45 plus minutes each day because she enjoys it so much. I'll be posting our review in November so be on the look out for that. Next week we will begin week 9 of school and continue with our scheduled lessons until Dec.21st! Well, we may adjust the ending date by a few days because we just received the girls competition schedule and we have an out of town meet the weekend of Dec. 21st. Once we get our session times I will be able to adjust our schedule accordingly so that everything is done before we leave. Speaking of gymnastics, McKenzie has her Level 5 test out meet in mid-December as well. So excited and proud of this girl as she trains hard and checks off her goals. We had a bit of a scare this week and had to get an x-ray on her ankle because she has been complaining about it. Thankfully, it is just a mild sprain! She needs to have a well child check up within the next few weeks because in 5 months she has only gained 1 pound. And I am sure that that 1 pound is muscle. Now, that is normally a good thing, but for her it is a signal that her body is not working at optimal condition. As we head back into our next 9 10 weeks of school we are tweaking our curriculum to fit our needs better. 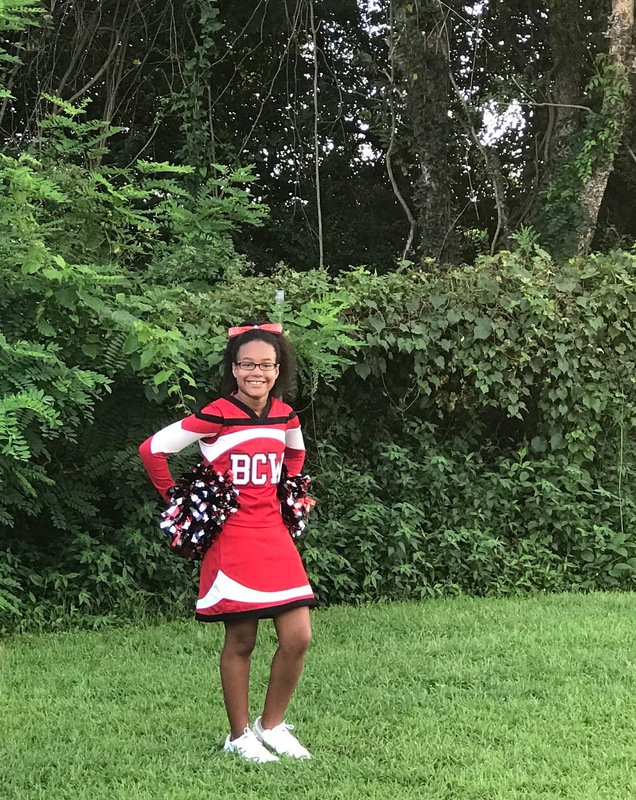 Madison and Micah have no changes to their course loads but here are a few of the changes we are making at each grade level for the other girls. ACT Prep: Magoosh ACT *Mikayla will take her first test on Dec.8th and then we will have a baseline of what she needs to study to improve on. 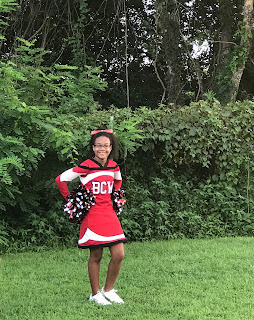 She will not be able to test again until July 2019 because we will be traveling for gymnastics and college/high school graduations for her older sisters. 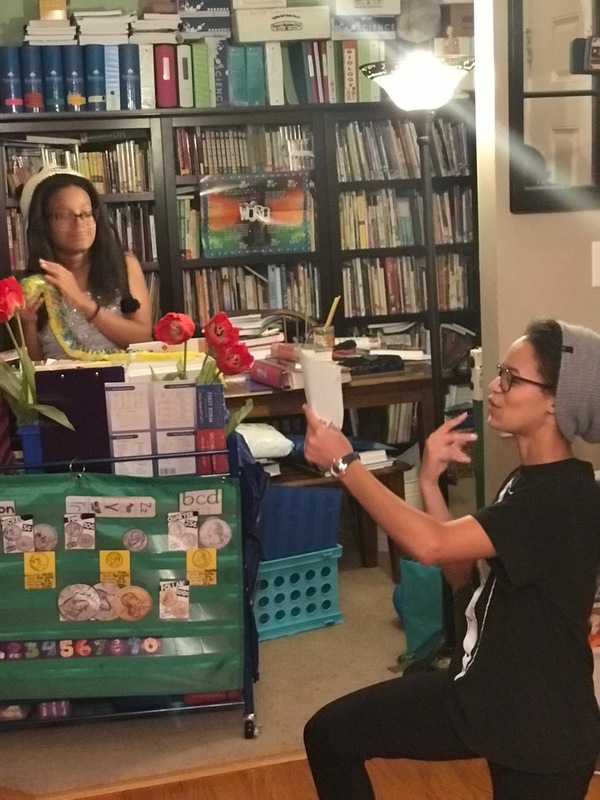 Phonics/Spelling: I thought about changing McKenzie’s spelling/phonics but I have decided to stick with what we use, Rod & Staff, and give her more hands-on learning. She is excited about this switch because she likes doing centers. With these slight changes I am hoping to streamline better and get things done. Because the best curriculum is one that gets used, right? Have you made any changes to your curriculum line up? I would love to hear what you have planned out. Are you up for an adventure? If you have been reading this little blog of mine for any length of time you know that we love good books and we love audio theater just as much! 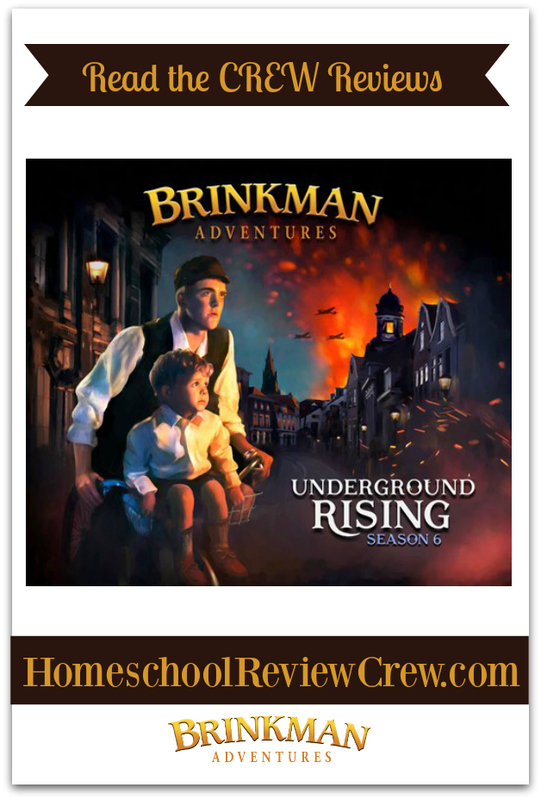 So, if you are ready to experience the known for its action-packed, faith-building, real life, extraordinary drama adventures of the Brinkman family keep reading because they have just released their newest adventure, Season 6: Underground Rising. 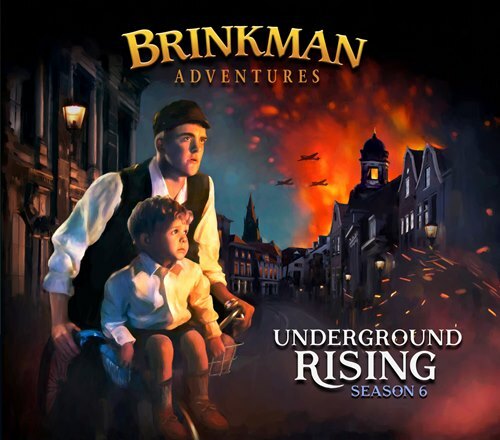 I love adding Audio Dramas to our listening time while we are out and about on our daily travels, so I was thrilled to receive the digital version of Season 6: Underground Rising from Brinkman Adventures for our listening pleasure. The Brinkman Adventures will take your family on heart-pounding, exciting adventures all the while showing God’s love for everyone on earth. We received a digital copy of Season 6 of The Brinkman Adventures which contains six action packed episodes. The company just recently moved to the six episode editions instead of the twelve like previous editions. But don't let that disappoint you. You still get over 2 hours of audio drama/entertainment that is perfect for a road trip. Once we received our email to download the files we were all set to enjoy our adventure. Each Episode can be played on a phone or tablet, but first you need to download the files onto your computer and then sync them to your portable device. Trust me, it is a simple process to do! After the syncing is complete, just press play and fasten your seatbelts as you step back in time to war-torn Holland. Based on real life events during this time period The Brinkmans’ great-grandparents are faced with a harrowing decision. Will they protect themselves from the Nazis or will they aid the Jews? In another episode, the boys Jack & Ian accompany Dave Eubank and his Free Burma Rangers on a daring mission to save a Burmese village from a rapidly approaching army bent on destruction. The Brinkman’s are not just your normal everyday missionaries. They are a modern day, large family with 9 children, whose powerful stories come together through the wild and crazy adventures they take to share God’s word. Their escapades will inspire the old and young and strengthen your faith to love and follow Jesus with all your might. We spend a lot of time in our van driving here and there each week and while listening to the popular kids satellite radio is fun, one does quickly tire of hearing the same songs looping over and over. With my new van, I was so excited to be able to plug my phone into the socket and pull up Apple Car Play. From there I was able to access the files that were on my phone. I love that we can control the files just as we would manipulate a CD by rewinding etc. in case we missed something. We have listened to many audio books before but nothing is quite as exciting as The Brinkman Adventures. From the very beginning, everyone in the van is completely immersed and listening intently to the stories to not miss a beat. Everyone in our family has thoroughly enjoyed these stories many times over. Our family’s favorite stories from this collection would have to be episodes 55 and 56 about the Dutch Underground. This is a fascinating time period where ordinary people did extraordinary things to help the Jews during their time of persecution. I have always enjoyed studying this time period and frequently while listening to these stories I asked myself would I be so willing to help in the face of danger and death. I sure hope I would! Season 6 continues in the tradition of high octane, faith growing stories. I will say that some of the stories were a bit intense. I did have to turn off the episodes and wait until my littles were not in the van to continue to listen. I would say, if you have children 10 and under to use your own judgement and listen along with them. If it is too intense, then save it for another time. The Brinkman Adventures are available to purchase on CD for $23.99 or digital download for $19.99. The prices are worth every cent and more! Plus, you are in luck! Right now until October 31st you can get your own set of The Brinkman Adventures for 10% off by using the code FALL10 . It's the perfect way to begin your adventures! Be sure to check out what my CrewMates thought of Season 6 by clicking the banner below. There are 69 other reviews to check out. Helping your children figure out what exactly they want to do when they graduate from high school is a task. Sometimes it can be stressful especially when your child has the foggiest idea what they want to do. 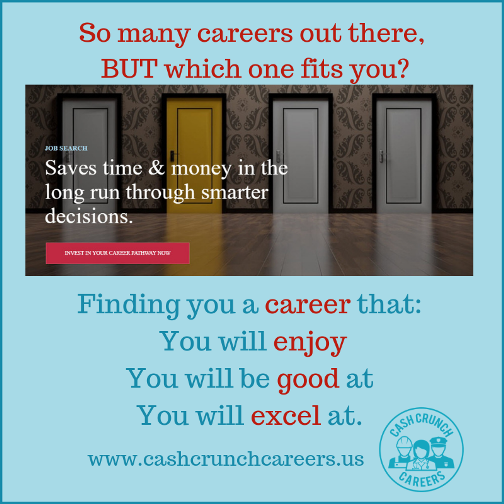 My youngest daughters aren’t quite sure what fields they want to go into, so I am especially happy to be able to take the CashCrunch Careers survey from CashCrunch Games. CashCrunch Games, was founded by Paul Vasey. The company’s main goal is to help children and young adults learn to “save first, spend later”. The company has several different games that help children learn about money. 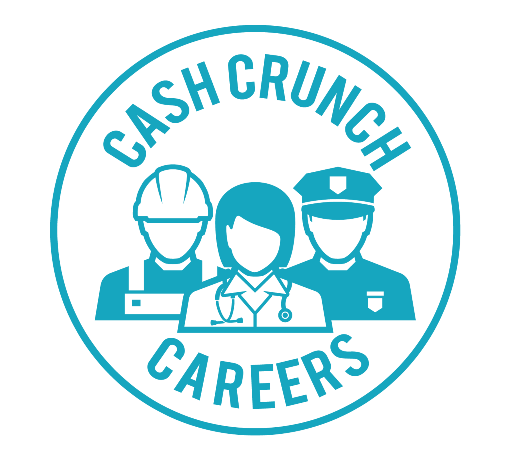 Now, they have just released a new product called CashCrunch Careers. We received four subscriptions to take the survey. I used it four my four oldest daughters, Marie (21), Madison (17), Mikayla (15), and Montana (12). Getting started was super easy. I logged onto the site and registered each of the girls with their individual email addresses and the registration code we received from the company. Once I had the surveys set up, all my kids needed to do was to log in and take the survey. The survey was short. Each of my daughters took about 15-20 minutes to complete the 75 questions. Some of the words Montana didn’t really understand there meaning so I helped her by giving examples. Once she had examples she was able to choose between the two words. So, just what did my children think of their results? Marie says ~ I thought my survey results were very accurate. My top 5 career choices were general & operations manager, advertising and promotions manager, marketing manager, sales manager, and public relation manager. Being an entrepreneur and starting my first business on my own, I need to function as all 5 careers to successfully run it. My other maching job choices as well as my motivators & demotivators were accurrate. Madison says ~ I took a similar job survey during my Calvin College's Entrada Scholar's program except I got the exact opposite results. Entrada's jobology accurately predicted that I prefer working alone with a set of directions and a deadline. CareerCrunch, again, told me the opposite, that I would like to work with a team. Some of the jobs I was suggested all included the title 'manager'. Mikayla says ~ I was able to complete my survey while on break at the gym. Signing into my survey was easy to do. I am not quite sure what I want to do when I go to college but the survey results say that I would be a good manager. I think I want to go into the Air Force as an officer, so being a manager fits that criteria. Montana says ~ Some of the words were hard for me to understand but with my mom helping me it was easy to get the survey completed. Like my sisters, I think I want to go into the Air Force and be either a vet or something else so manager also goes with what my survey results say. Overall, we are all happy and excited with the results of the survey. I definitely think you should check out this survey if your children need a little guidance in deciding what they want to do. 69 of my CrewMates also took the survey so be sure to click the banner below and see what they have to say. I can't believe we are blazing through October already! I wanted to write a quick message to all my new friends here on the blog, Facebook and Instagram. If you know me in real life you might be wondering why my children are called by different names online. First off, you are not going crazy! I do call my children all by their middle names, with the exception of Micah. His middle name is not Micah but we have a "M" thing going on and I would confuse you even more so we just stick with Micah. 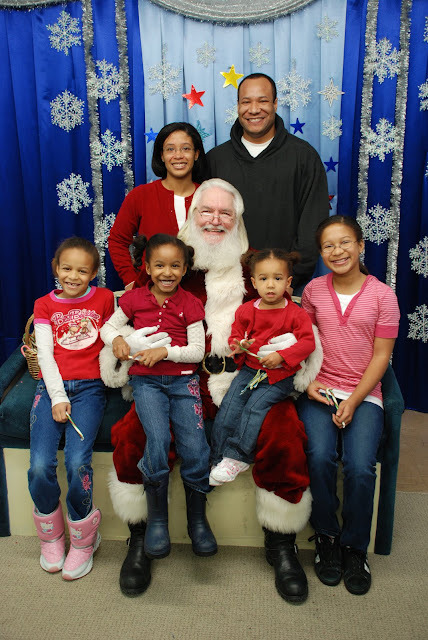 Well, way back in 2008 when I started this little blog of mine I had four little girls and I wanted to give them some privacy as I began documenting our lives on the world wide web. The thing is, we have called our children by their middle names since they were babies. They answer to my and my husbands voice when we call them by their middle names out in public etc. I guess you could say it is for safety in a sense. So, next time you are reading a post or a status update from me and wondering just who is who, check back on the blog or ask. Like many parents, I love chatting about my kiddos and their individual adventures through this thing we call life. 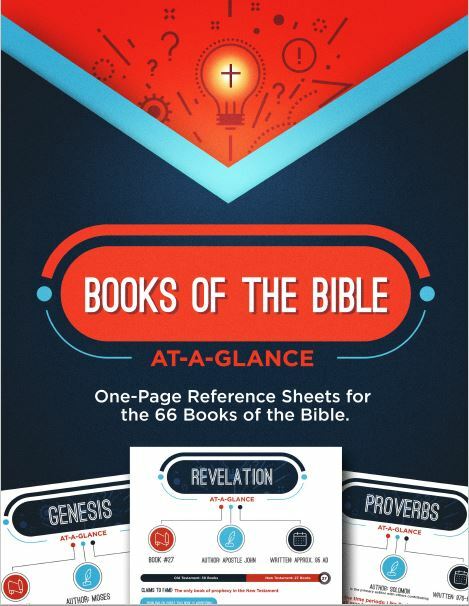 The 66 most important books you will ever read are found in the Bible. 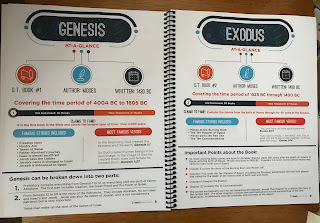 Lately when I am reading my Bible and I come to a new book, I reach for my Books of the Bible At-a-Glance from Teach Sunday School to give me an overview of the book. My greatest goal in life is to make God known to my children in every aspect of our life. To teach them His words and help them hide them in their hearts so that when needed they can call on scripture in times of trouble. And most importantly know the truth. 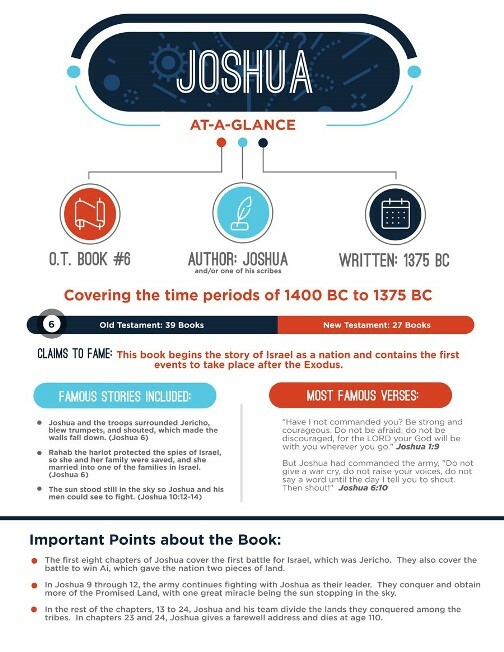 To utilize this resource in our homeschool we have been reading and studying the reference sheet for each chapter depending on what our weekly scheduled reading is. Lately, because our main Bible curriculum has been focusing on The Old Testament we are spending more time with the books on Genesis and Proverbs as we dig into the word. We received a PDF digital download of these one page reference sheets which I printed and spiral bound. I also have them saved on my iPad mini for quick and easy reference if I am out and about. 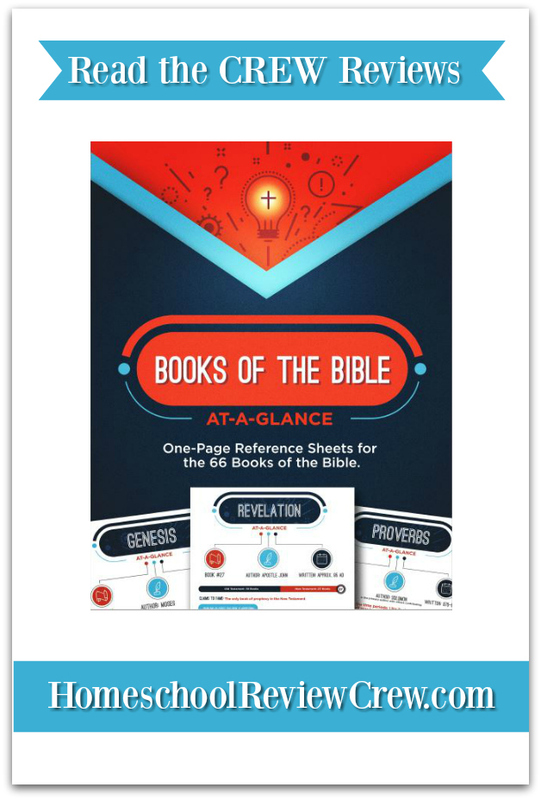 If you are looking to provide an in-depth study of each book of the Bible, the Books of the Bible At-a-Glance summary sheets are the perfect product to do this. I love that the copy write allows me to print and use this multiple times within my own family. I printed my oldest at copy to have handy as she studies in her Advanced Theology class. So far, she said they have been a great reference for her. And they are economically priced at just $9.00. I wholeheartedly, hands down recommend this product for everyone! 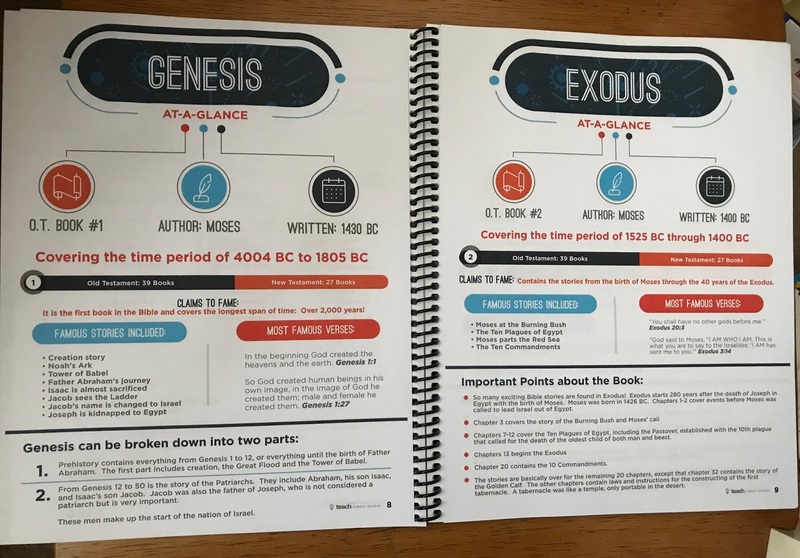 Having these reference sheets at our disposal has been an invaluable tool in our homeschool and personal Bible study time. 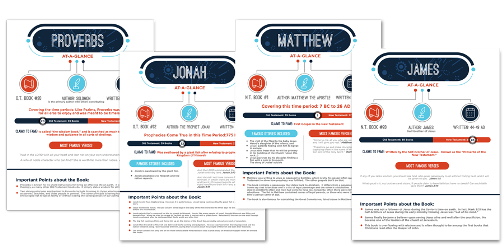 Check out what my CrewMates thought of these Bible summary sheets by clicking the banner below to read their thoughts.